No Buyer's Premiums or Hidden Fees! 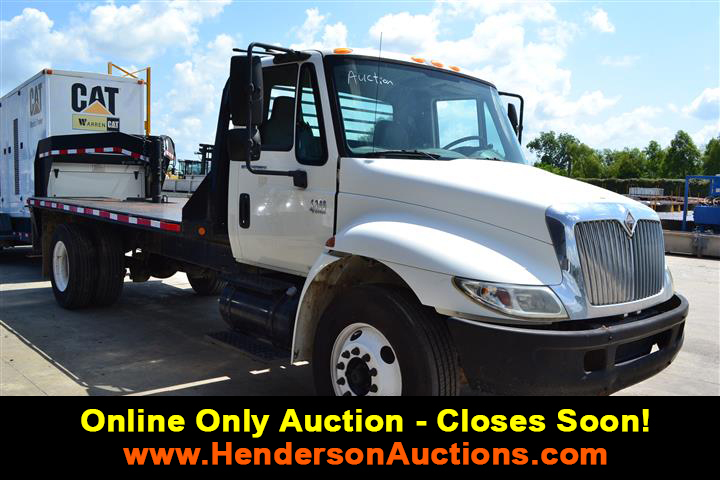 Proxy bid on any lot up to 24 hours before the auction starts. Buyer’s Premium: NO BUYER'S PREMIUMS for Online Only Auctions! Internet Bidders - Please do not submit your registration more than once. Approvals are typically processed within a few hours during normal business hours. To insure that your approval is completed in time for the sale, we suggest that you submit your registration before sale day. The registration you submit online is ONLY good for internet bidding, NOT onsite bidding. Your information will be good for all future sales and you will not need to register again. General Auction Site Policies When entering an auction site (either on our permanent facility or at an offsite location) you do this at your own risk. 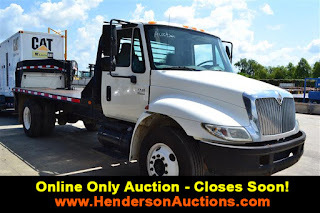 Henderson Auctions is not responsible for any injuries or damage to property that occurs at our auction sites. All items sold as is/ where is. Inspection prior to bidding is recommended and available. Buyer is responsible for all freight, handling costs, and taxes where applicable.